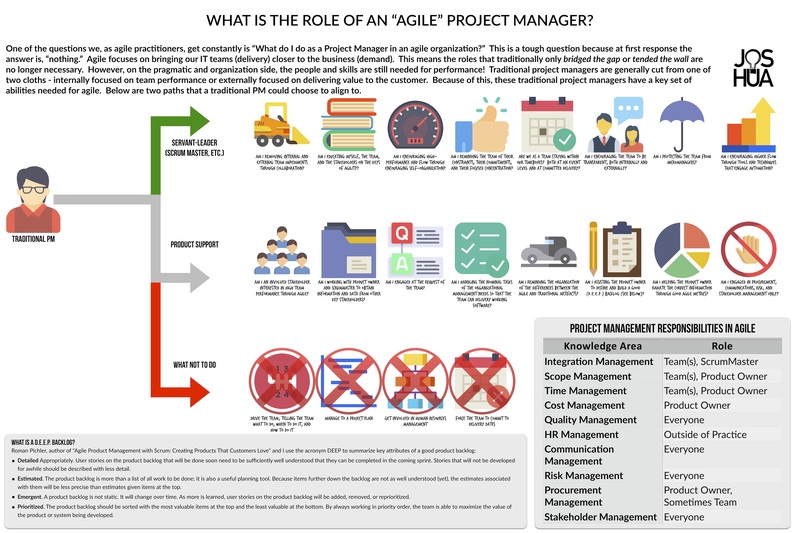 Oftentimes, I am asked, “what do we do with project managers as we adopt agility?” Being a self-proclaimed “recovering project manager” I am sensitive to the people who we are impacting, however, I am also extremely dogmatic on improving the business/IT relationship. Below is a brief infographic I threw together for some folks last year that outlines two possible approaches. Please note: it is rather large and also all opinion! What are your thoughts? You can click to download the full size image so you can actually ready the words! Agile Dad: The Kitchen is done!